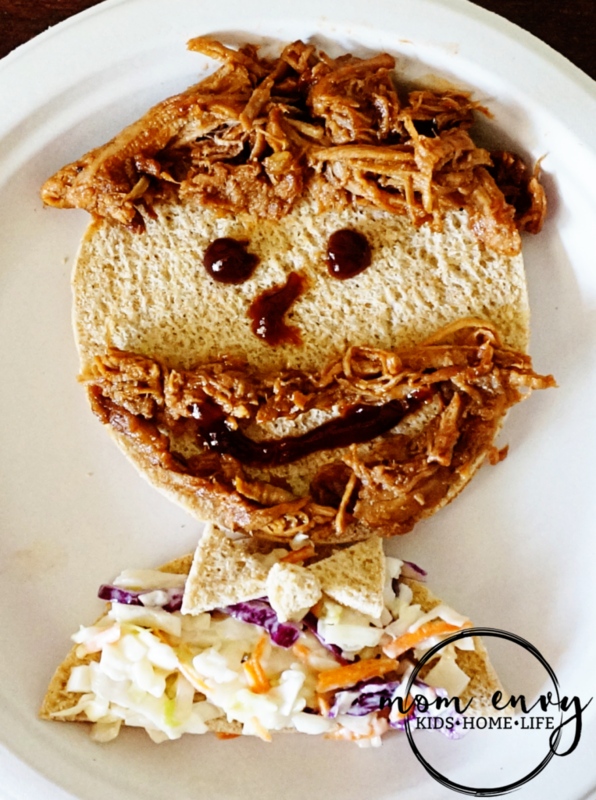 My poor husband got made into a BBQ and coleslaw sandwich for dinner the other night. Of course, I realized later that I forgot to add his glasses (well he let me know I forgot, oops!). And I wish I could say that Carl ate this, but being a picky toddler, he had no interest in BBQ. He liked the sauce but spit the meat out (lovely, I know). 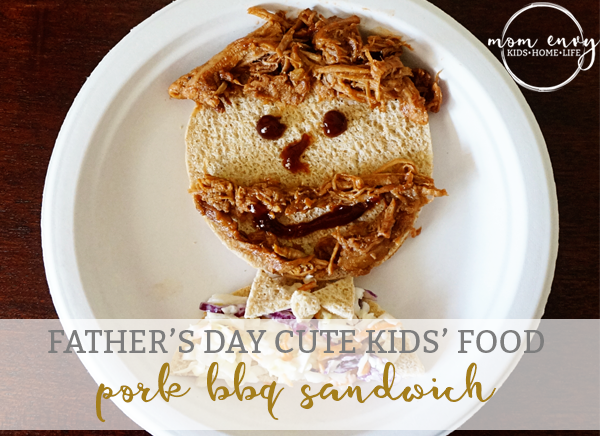 So here’s how I made this ridiculously cheesy Dad-themed sandwich. Place half of the deli thin toward the top of the plate. Cut the other piece of deli thin in half. Place it touching the bottom of the head (which creates a shoulders/chest area). Carefully place BBQ on the bread to create hair and facial hair (if needed). Place the coleslaw on the half-moon piece of deli thin to create a festive looking shirt. Use the BBQ sauce to draw eyes, a nose, mouth, and glasses. Using the leftover piece of deli thin, cut out 2 triangles and 1 circle to make a bow tie or tie.